This picturesque Par 3 plays 188 yards. 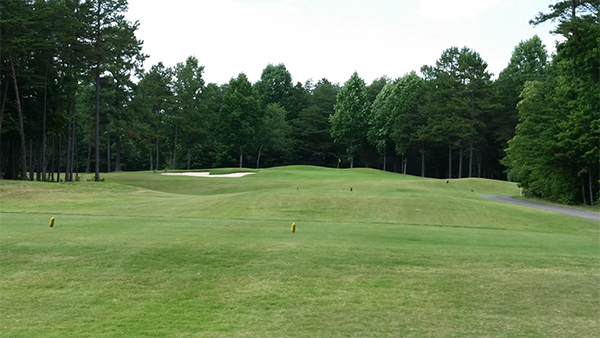 It has a welcoming green protected on the left front by a large bunker. 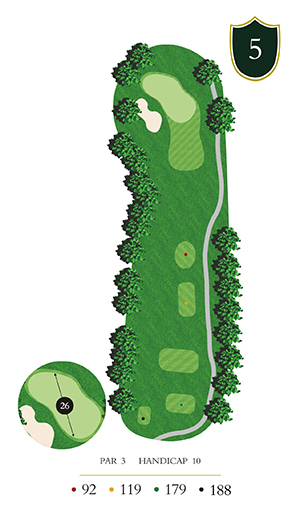 Play for the center of the green or go for the pin at your risk. It is better to be short than long.